Enrollment forms are now available to add books or authors to the Read Tuesday catalogs. If you are an author or small publisher who would like to participate in the event, click on the links below to open and complete the sign-up forms. The first form is to enroll books, while the second is to enroll authors. You don’t need to sign up to participate in Read Tuesday, but you do need to enroll to get into the catalogs. Signing up also helps to show your support for the event. These are Google Docs forms. Simply click on the link, complete the form (a few questions are optional), and press the submit button. It’s that easy. If you encounter any issues with the forms, please let us know. WHAT IS READ TUESDAY? Read Tuesday is an event like Black Friday or Cyber Monday, except that it is specifically for the sale of books. This is a great opportunity to purchase books as gifts or for readers to stock up on titles from their favorite authors. Read Tuesday isn’t a company, person, or organization. It’s an idea: a huge one-day book sale. Many authors, publishers, and booksellers from around the world will be participating in this special event. 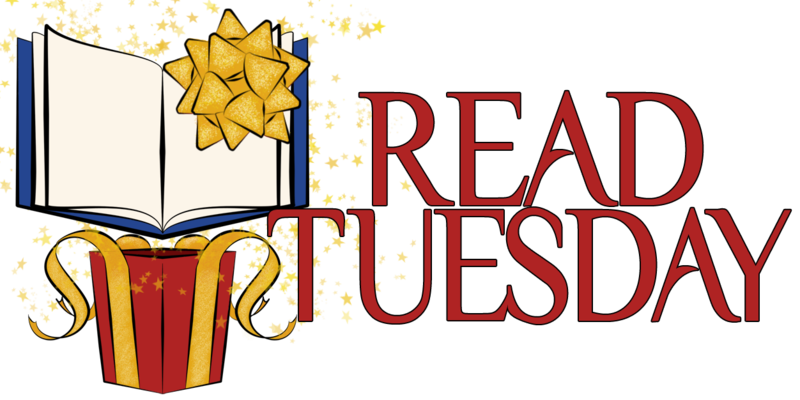 In 2013, Read Tuesday will be held on Tuesday, December 10. Read Tuesday: It’s going to be HUGE! Follow Read Tuesday at Twitter (@ReadTuesday) and Like us on Facebook (www.facebook.com/ReadTuesday). Indie authors! Now you can enroll in the Read Tuesday promotion set to debut on December 10, 2013. It’s like Black Friday and Cyber Monday only for Indie Books. Will share on Google+ too. In case you writer guys haven’t spotted this yet – it’s going to be amazing! I’m in the club! Now you sign up, too! The first rule of Club Read Tuesday is that you DO talk about Club Read Tuesday. Working on the “How To” article on gifting e-books now. How to sign up for Read Tuesday. Thank you. We appreciate your support. 🙂 Perhaps we can create a separate catalog showing sales price, discounts, discount codes, etc. to be released closer to the event date. A discount code is a great idea. No problem! I already scheduled a post for the day before so readers of my blog, FB, and twitter will be able to go to Amazon and get the book at a discount; I’m including the code(s) there, but if you create a separate page, I’d be glad to share the code(s) there too! Great idea! Thanks for coming up with it! I’m sharing around the verse! What a great idea. Thanks nonnie for letting us know about it.